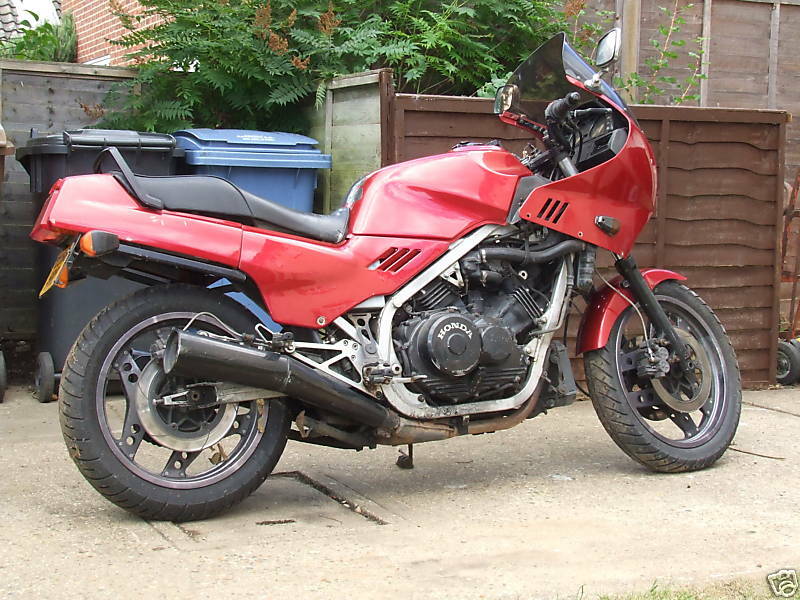 this is one of the original uk model vf1000re. 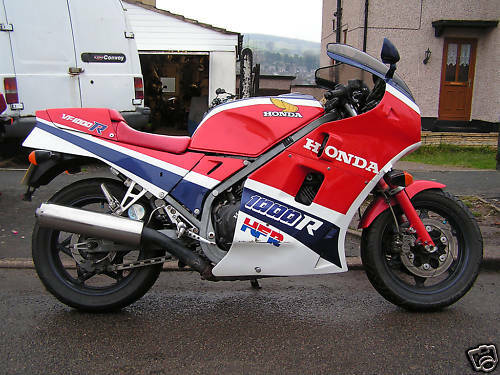 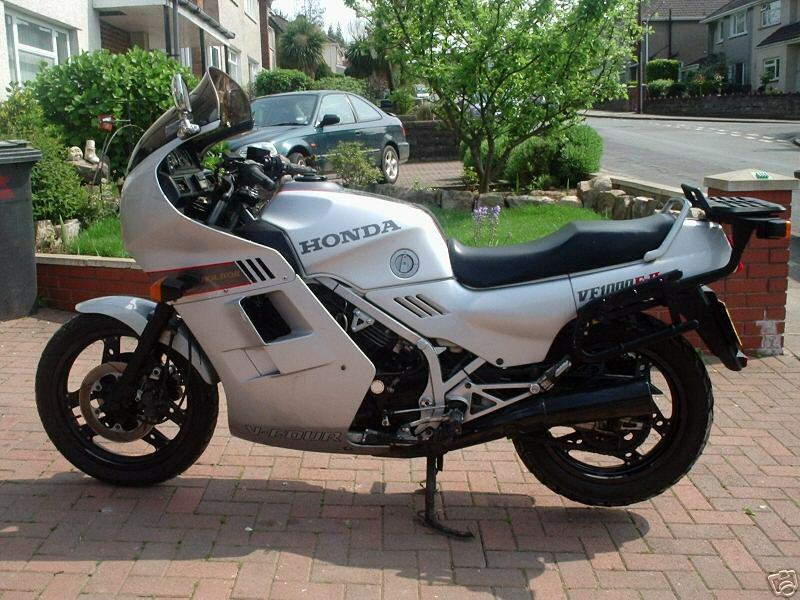 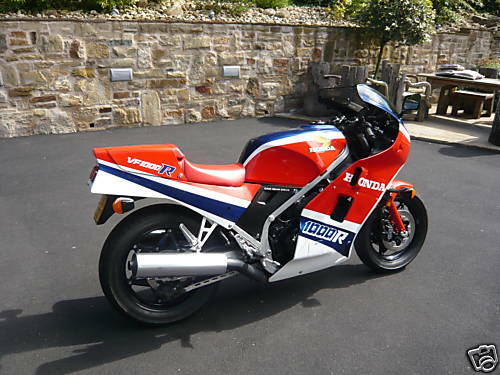 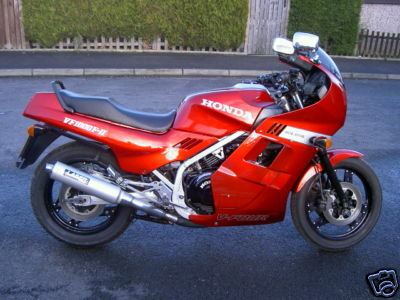 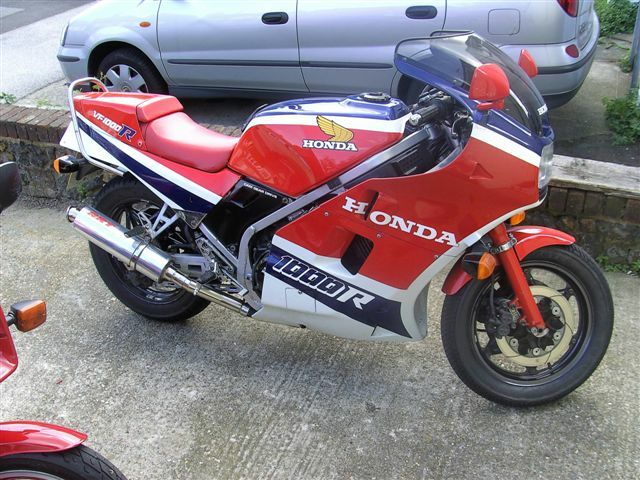 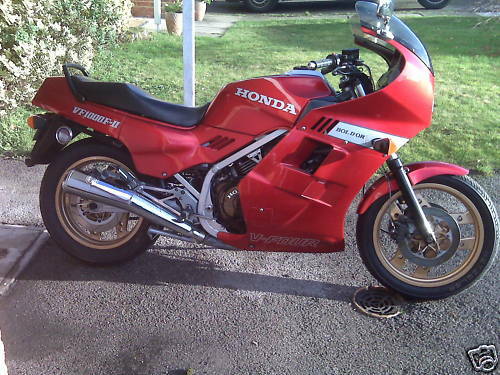 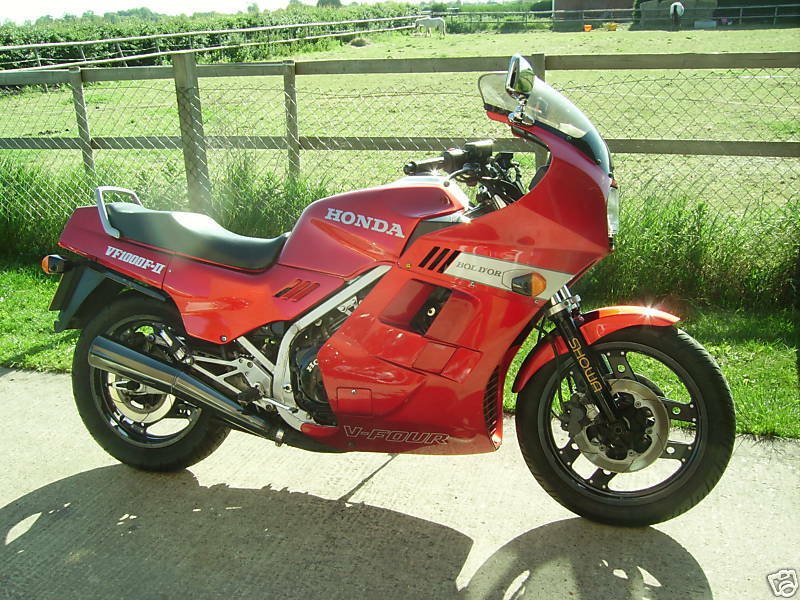 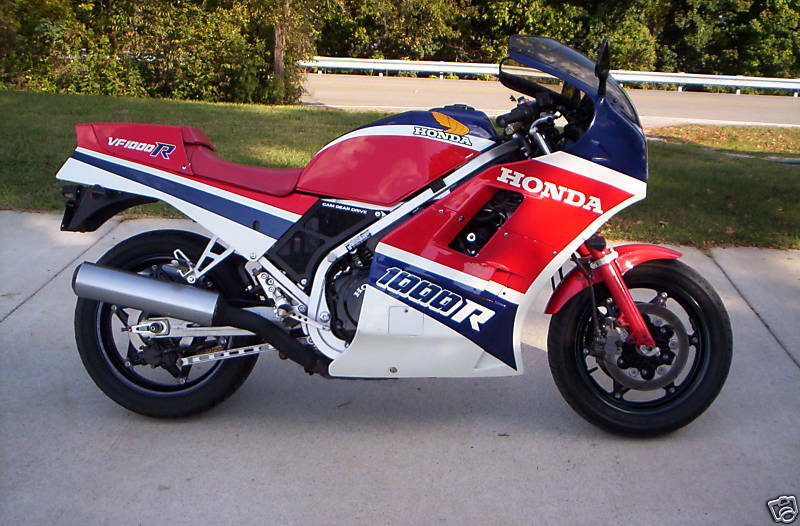 it has been called the bike built before the rc30 and was honda&#8217;s first special v4. 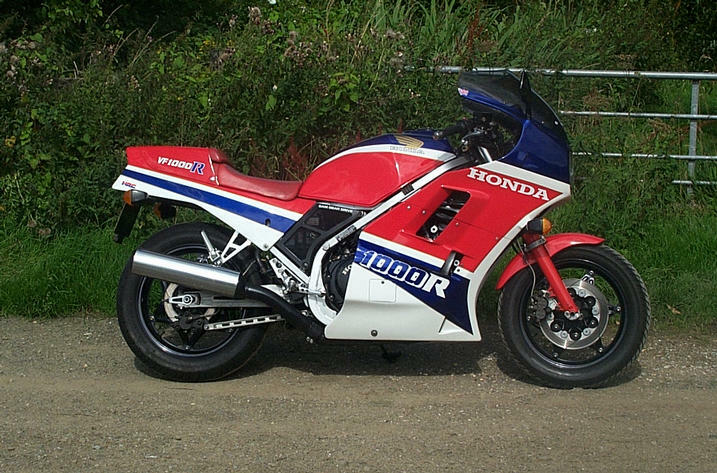 Type SC16 mais équivalent au SC20 français. 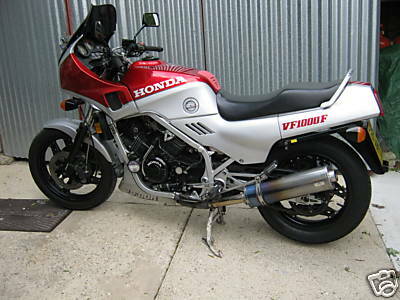 for road riding the vf1000r was a seductively fast and comfortable companion. 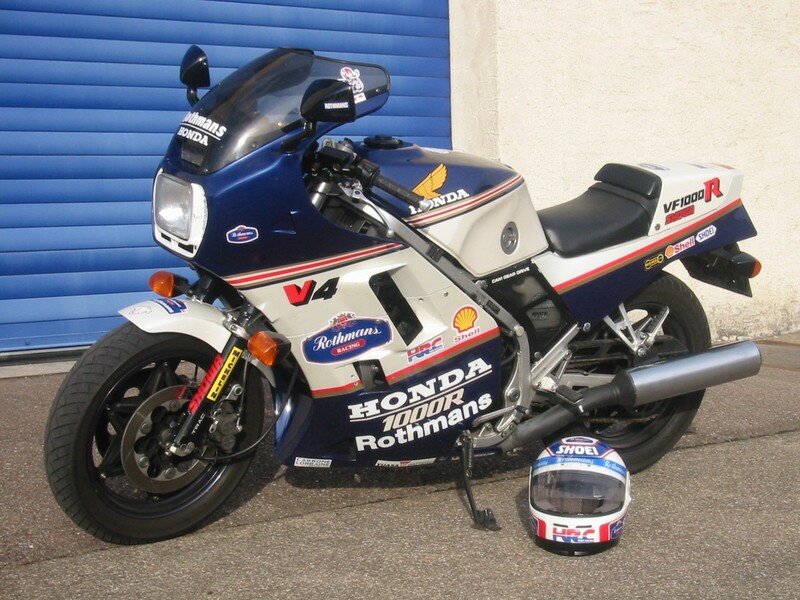 its fairing combined with the racy riding position to give excellent wind protection. 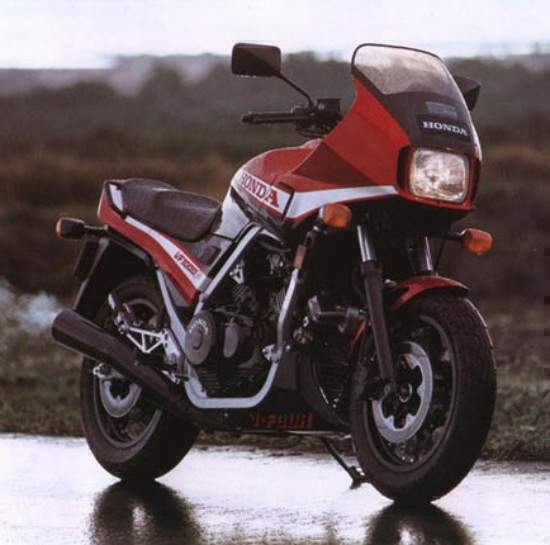 high-speed stability was absolute, and the engine was superbly powerful and torquey. 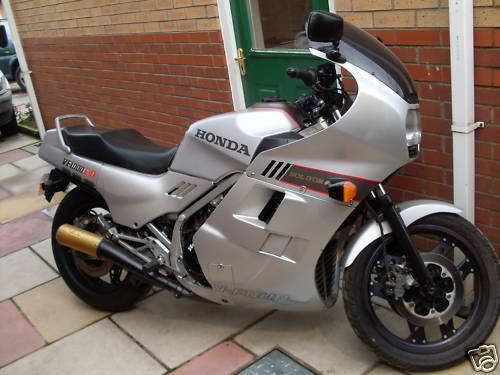 the i000r cruised effortlessly at well over 100mph (161km/h). 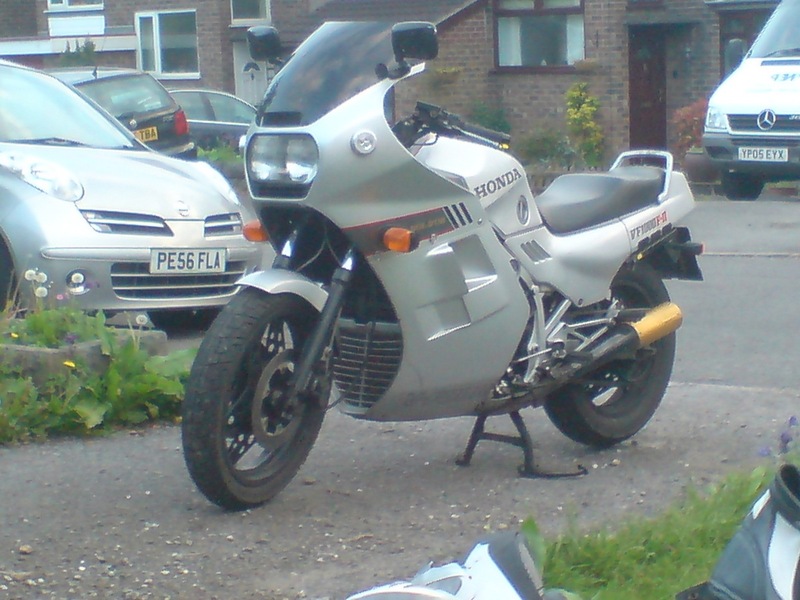 and surged smoothly to a top speed of 150mph(241km/h). 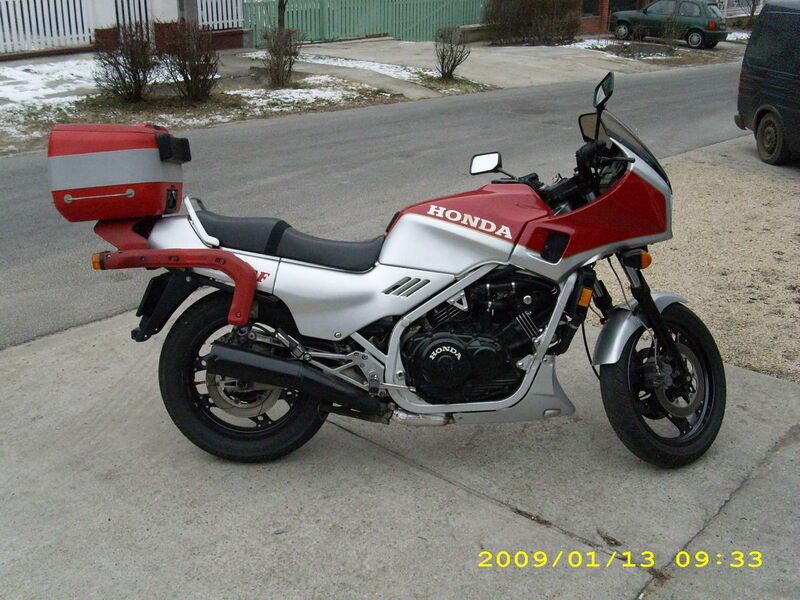 DOHC 4-stroke 16-valove liquid cooled 90/o v-4. 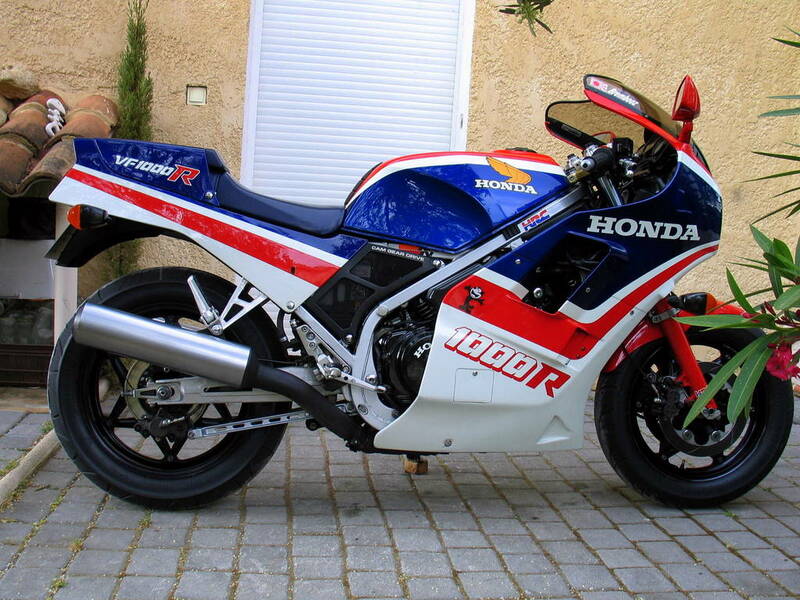 The VF1000 marks a landmark in the history of Honda. 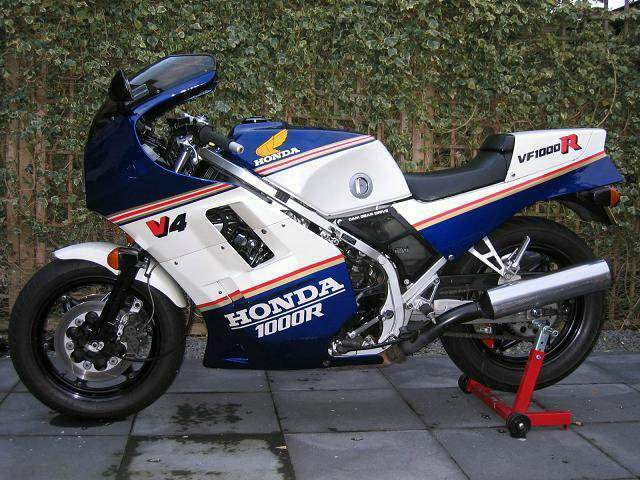 It was a pure race bred engine put straight onto the road. 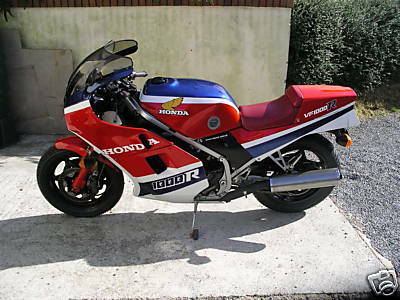 At the time it was introduced it was a top muscle bike, with looks to die for. 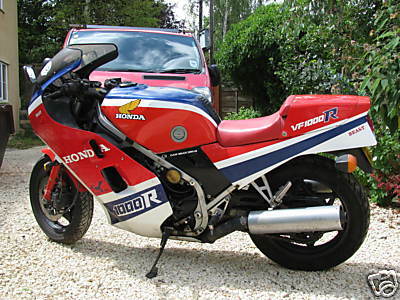 When this bike was made Honda had a brilliant reputation for their finish, and their build quality. 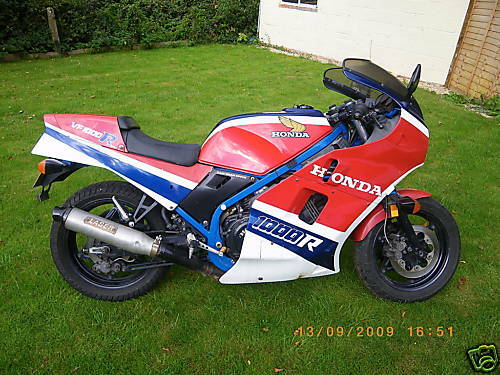 They couldn't be beaten in both departments.